Automated Packaging Systems, the world leader in high-reliability bagging systems, has announced the introduction of a new series of bag packaging systems with advanced technology and ergonomic design for maximum productivity. The Autobag® 500™ and Autobag® 550™ baggers are versatile machines with high-speed productivity for a wide range of packaging applications. The Autobag 500 will package at rates over 100 bags per minute using genuine Autobag pre-opened bags-on-a-roll in sizes from 2 inches to 12 inches wide by 2.5 inches to 20 inches long. 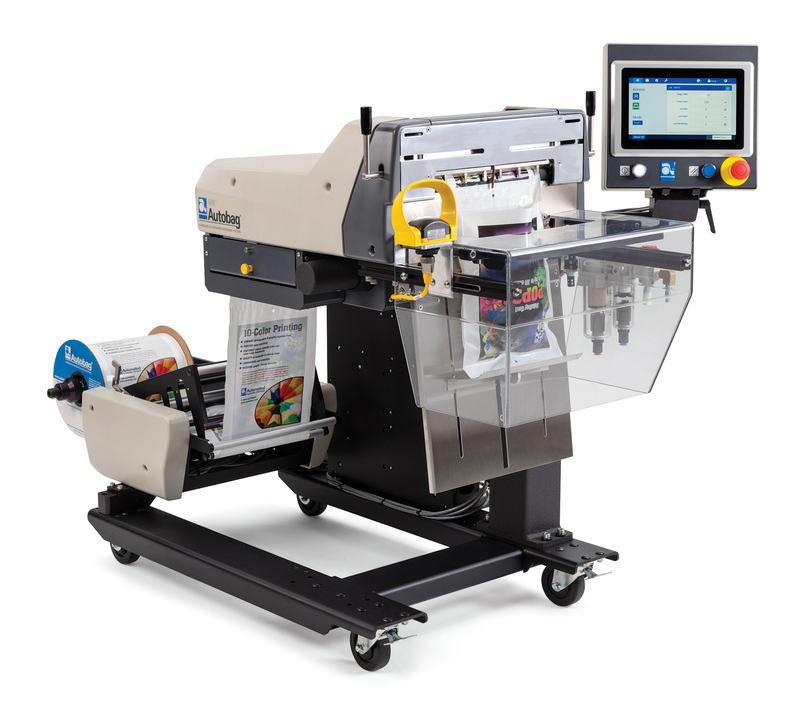 The Autobag 550 utilizes the same basic design, with a fully integrated AutoLabel™ imprinter positioned directly over the next bag to be loaded, eliminating the need for a separate print and label operation. An innovative design provides more efficient loading with an adjustable pass-through opening up to five inches wide. No light curtains and less guarding enable unrestricted access to the pre-opened bag while remaining inherently safe. These new Autobag bag packaging systems can be configured in left- or right-hand orientation with an easy height adjustment for maximum operator productivity and comfort. An improved, multi-position unwind with tension control provides faster changeovers of bag-on-a-roll materials with an AutoThread™ function that reduces waste. “Development of the Autobag 500 and 550 was guided by what our customers told us they wanted most in a next-generation packaging solution. The result is a bagger platform that delivers improved value to everyone from the financial decision maker justifying the initial purchase all the way through to the operator that runs the machine on a daily basis,” says Chris Rempe, Global Marketing Director. “These new systems facilitate a faster Return on Investment and lower cost of ownership, while offering enhanced connectivity and integration flexibility. Special attention was given to the industrial design to improve safety and ergonomics for the operator, and ensure the external appearance of the machines complement the advanced technology found inside. We believe that making our customers more successful is the best way to ensure our own, and these new baggers represent our latest product innovation dedicated to the pursuit of that idea,” he adds. The user-friendly Android-based HMI utilizes an intuitive, graphic-based interface for simplified set-up and operation. Built-in memory function stores data for faster changeover between jobs. The new Autobag 500 and 550 systems have been engineered to meet global safety and quality requirements, including CE certification. Automated Packaging Systems’ tradition of innovative engineering has resulted in a next generation design that utilizes fewer wear items, faster operating speeds, easier loading, and high reliability. The company is a global leader in providing genuine Autobag custom printed bag-on-a-roll materials in hundreds of sizes, shapes and material types for bag packaging applications that include aerospace & defense, automotive, electronics, hardware & fasteners, apparel, healthcare, pharmaceutical, hobby & craft, household products, pet products, toys, mail order fulfillment and many more. Automated Packaging Systems has been designing and manufacturing original Autobag®, AirPouch® and SidePouch® systems and products for over 50 years. With more than 30,000 packaging systems in operation and a worldwide service organization, Automated Packaging Systems has the experience and support to deliver the ultimate in customer satisfaction. Automated Packaging Systems offers a complete line of baggers, void-fill and protective packaging systems, stretch sleeve labels, thermal transfer imprinters, counters, scales, and specialty packaging materials. Complete information is available at the company’s website.